Welcome to the web-site of Christchurch and District Arts Council (CADArts). Here you will find information about art events, both visual and performing; details of films at the Regent Centre, meetings and exhibitions by membership groups and a complete diary of dates as they are received. The pages will be updated regularly bringing news of future events and other exciting artistic activities that are on offer in Christchurch and the surrounding area. There is a wealth of artistic talent in this area and as a co-ordinating body for individuals and organisations (amateur and professional) in all fields of the arts we will endeavour to bring to your attention the latest information. CADArts was established in 1978 to promote participation in, and development of, the Arts amongst the inhabitants of a Christchurch and the surrounding area. The executive committee (most of who represent groups) is elected annually from amongst its members. We act as a means of liaison between individuals and members of arts organisations in the area. We can give guidance on many problems with the Arts. CADArts; can usually provide the answer, or know someone who can, i.e. finding the right material, hanging an exhibition or finding a performer for an event. We have a formally adopted Constitution, and are a registered Charity. Christchurch and District Arts Council (CADArts) was established in 1978 to promote participation in, and development of, the Arts amongst the inhabitants of Christchurch and the surrounding area. We are a co-ordinating body for the individuals and organisations (amateur and professional) in all fields of the Arts. The CADArts’ Executive Committee (most of whom represent groups) is elected annually from amongst its members. 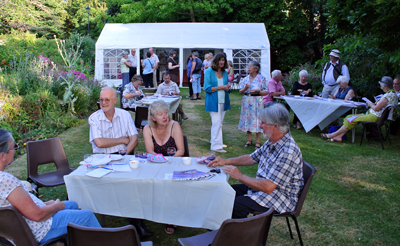 We act as a means of liaison between individual members arts organisations in the area. We have a formally adopted Constitution, and are a registered Charity (No. 1000984) CADArts was the body that successfully encouraged the Christchurch Borough Council to buy The Regent Centre in 1983 and open it as an Arts and Entertainment Centre run by the community in the form of the Regent Centre Association. CADArts also gave financial assistance to the annual Christchurch Writers Competition to get it established, and presents The Quill every year to the winner of a special class at that competition. The quill, especially commissioned by CADArts, is a wood sculpture lime on an oak base of a quill pen with parchment. It is on display at The Regent Centre. CADArts has arranged a number of specialist concerts and events in the interior and exterior of Highcliffe Castle. We were also responsible for providing Christchurch Priory with the skills of CADArts members to create a Festival of Arts and Crafts for the Priory 900th Anniversary Celebrations. These ranged from Silversmiths through to Stained Glass and Spinning, with many more crafts in between. Similar events were also organised in 1997, 2000 and 2006. CADArts was involved in the concept of the Borough Mosaic, and has assisted in the promotion of similar projects such as the Borough Fabric Collage and the restored 1938 film of Christchurch. We also funded the restoration of the painting of the first Lady Mayor of Christchurch in time for a retrospective exhibition of the artist. We can give guidance on many problems with the Arts. CADArts can usually provide the answer, or know someone who can, i.e. finding the right material, hanging an exhibition or finding a performer for an event. For your information: CADArts Arts Diary is produced twice a year and is widely distributed; listing the group events and contact numbers. Members also receive an updated list of ‘Members to Talk’ to detailing their work and how they can be contacted. This information is available to the public on request. 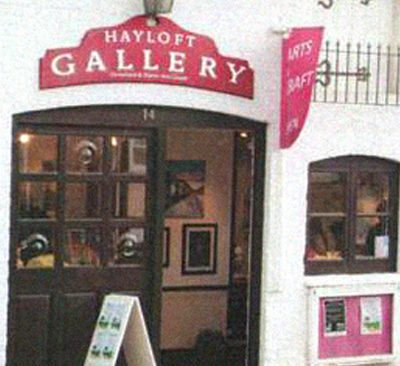 Since December 2001 CADArts has leased the Art Gallery ‘The Hayloft’, organising a summer festival with workshops, and a Christmas exhibition displaying members work. 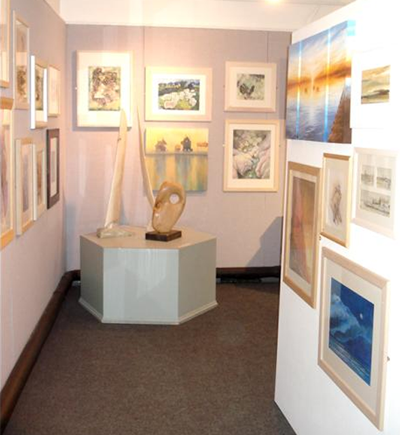 For the rest of the year it is a venue for hire by artists and crafts people. Parking: The entrance to the town centre car park.